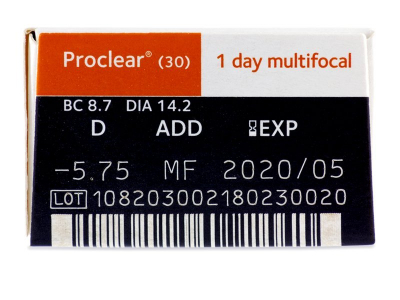 Proclear 1 Day Multifocal are daily lenses made by CooperVision, designed to correct presbyopia and relieve symptoms of dry eyes. Their construction provides optimal focus, making them suitable for driving, reading, or working on a computer. Proclear 1 Day multifocal are daily lenses produced by CooperVision. 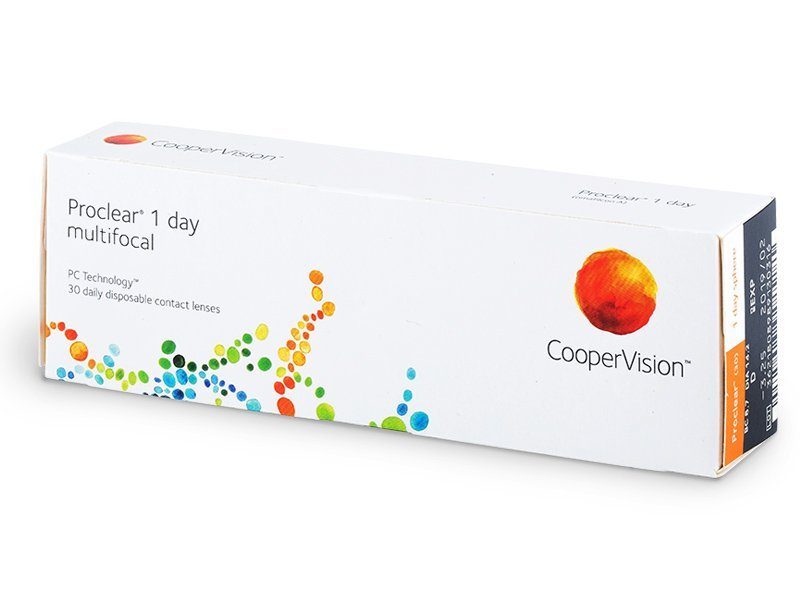 They are designed to correct presbyopia and to eliminate the symptoms associated with dry eyes. The optical construction of the lens allows the eye to find the instinctive zone that provides optimal focus. The gradual transition between eye zones ensures clear and sharp vision without strenuous focus in every situation. This package contains 30 lenses. 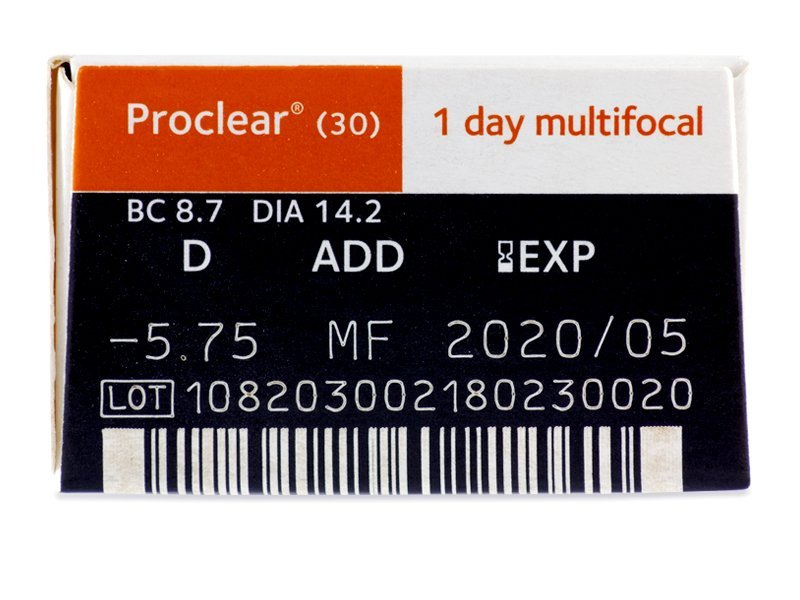 Proclear 1 Day Multifocal contact lenses are suitable for vision correction in any situation – while driving, reading, or working on the computer. They provide clear vision at all distances, making a great alternative to eyeglasses. 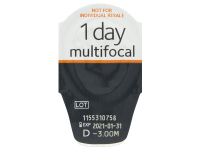 Daily lenses are well-known to be one of the healthiest options for contact lens wearers. Each pair is simply thrown out at the end of the day and replaced with a new, fresh pair next day. This eliminates the need for cleaning, disinfecting, and storing. Daily lenses are especially beneficial for allergy sufferers or anyone who does not have time for regular lens care. The PC™ moisturising technology allows water to bond to the lens surface, where it is prevented from evaporating. This protective layer that is formed on the surface of the lens prevents the accumulation of dirt and reduces the formation of deposits. It also ensures that the lens works correctly and provides comfortable wear for the whole day. 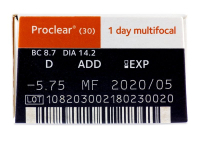 There is no specified value of addition for Proclear 1 Day Multifocal contact lenses. The producer states that these lenses are designed for wearers with addition valued up to +2.50. Note: We would like to remind you that the purchase of these lenses without previous consultation by an eye specialist is NOT recommended. Discover our selection of multifocal lenses here. Having tried other mutlifocal lenses, these are the only ones I get on with. Great sharp vision close up and distance. Always been a fan of proclear in the past. Happy with these lenses too after recent changes in my eyesight. They fit comfortably and my sight is always clear. For someone that has used multi-focal glasses, these are exceptional the way they work.